Electrical muscle stimulation (EMS), also known as neuromuscular electrical stimulation (NMES) or electromyostimulation, is the elicitation of muscle contraction using electric impulses. EMS has received increasing attention in the last few years because of its potential to serve as a strength training tool for healthy subjects and athletes, a rehabilitation and preventive tool for partially or totally immobilized patients, a testing tool for evaluating the neural and/or muscular function in vivo, and a post-exercise recovery tool for athletes. How does Electric Stimulation Therapy work? The impulses are generated by a device and delivered through electrodes on the skin in direct proximity to the muscles to be stimulated. The impulses mimic the action potential coming from the central nervous system, causing the muscles to contract. 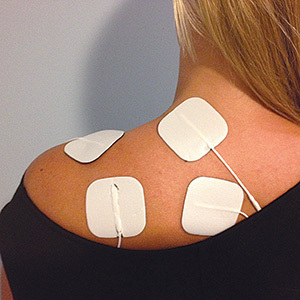 The electrodes are generally pads that adhere to the skin. The use of EMS has been cited by sports scientists as a complementary technique for sports training. How does Electric Stimulation Therapy help you? Electric stimulation can be muscular, general and trans-cutaneous electrical nerve stimulation (TENS). The muscular type of electric stimulation seeks to strengthen the muscles by reducing muscle spasms. Also known as EMS, this stimulates the skeletal muscle using electric impulses to cause muscle contraction. 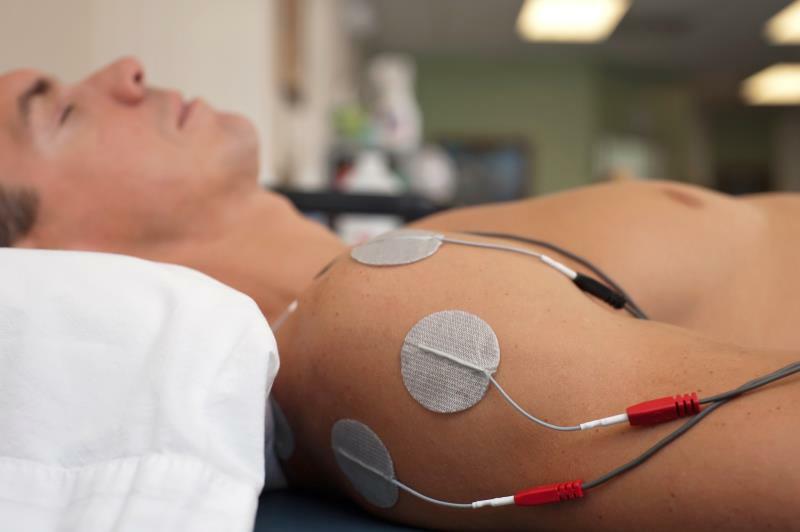 What are the common uses of Electric Stimulation Therapy? Physical therapists and other medical practitioners attach electrodes on the patient’s skin, causing the target muscles to contract. With electric stimulation, the patient can maintain muscle tone and strength that would otherwise waste away due to lack of usage.